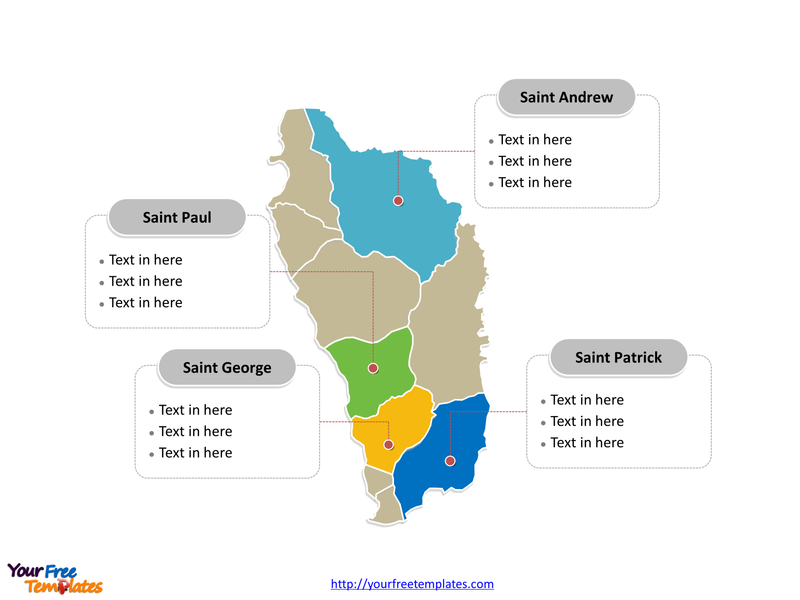 Dominica Political map with ten parishes, labeling with major parishes, Saint George, Saint Paul, Saint Andrew, and Saint Patrick. Dominica outline map labeling with national capital and major cities, Roseau, Pont Cassé, Wesley, Berekua, and Portsmouth. 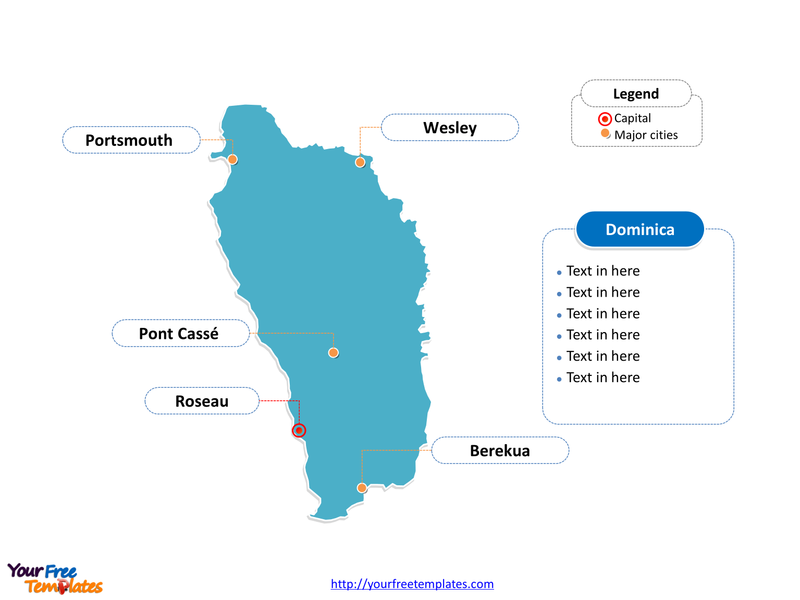 The Map of Dominica Template includes two slides. Dominica is an island nation in the Lesser Antilles region of the Caribbean Sea, south-southeast of Guadeloupe and northwest of Martinique. Its capital and largest city is Roseau, other major cities including Pont Cassé, Wesley, Berekua, and Portsmouth. Dominica is a country divided into ten parishes; they are Saint Andrew Parish, Saint David Parish, Saint George Parish, Saint John Parish, Saint Joseph Parish, Saint Luke Parish, Saint Mark Parish, Saint Patrick Parish, Saint Paul Parish, and Saint Peter Parish. 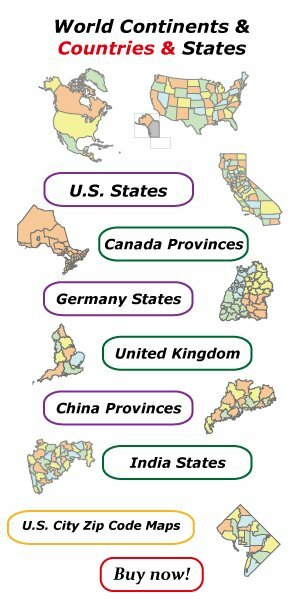 Every individual political subdivision is an editable shape.